In terms of reliability, power, and durability, Ford dominates, especially in both the new and used truck segment. Many people trust Ford trucks to handle everything from work to leisure, and for good reason. In fact, an article by Autobytel, Why The Ford F-150 Is The Best Selling Vehicle In America, declares, “the honesty of the F-150’s robust nature always shines through.” We agree. That’s why we offer a selection of used Ford trucks to satisfy those wanting to embrace the natural wonders within the Big Island! So, browse our inventory above and contact us for more information! Why Buy Used Ford Trucks from a Honda Dealer? There are many benefits to buying used from a dealer rather than a third-party seller. 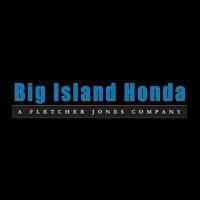 Although we live and breathe everything Honda, Big Island Honda also prides itself on staying informed on and offering many other brands, like used Ford trucks! Plus, we offer perks only a dealership can, such as financing options and accessories. See our used Ford trucks in person, and make a trip over to one of our two dealership locations: 124 Wiwoole Street in Hilo, HI or 75-5608 Kuakini Highway in Kailua-Kona, HI!